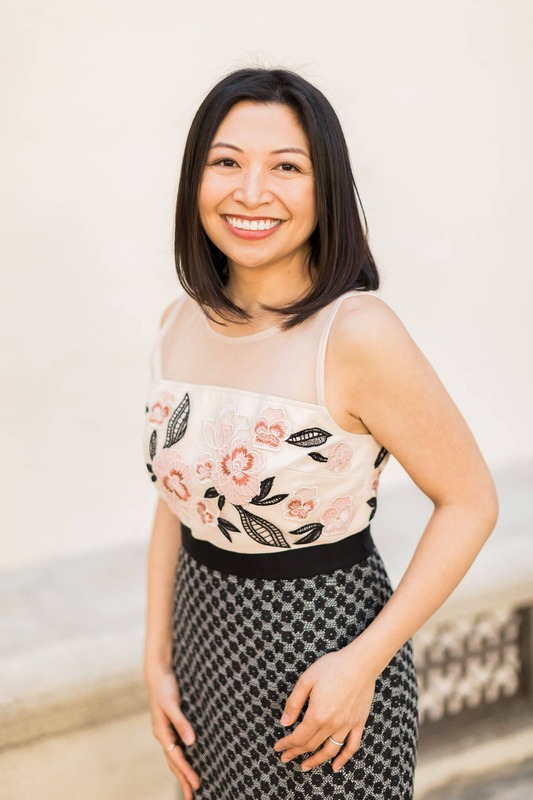 Disclosure: This post was sponsored by Riondo Prosecco through their partnership with POPSUGAR. While I was compensated to write this post about Riondo Prosecco, all opinions are my own. I’ve been told that as you get older, time speeds up. (I believe it. I feel like 2017 just started and it’s almost over!) Obviously with age comes responsibilities and obligations and never-ending to-do lists. Don’t let the stress of the holidays (shopping, baking, cooking, cleaning) overwhelm you. Let’s have a Riondo Prosecco Julep and relax. This is an easy cocktail recipe that’s perfect for celebrations big and small. 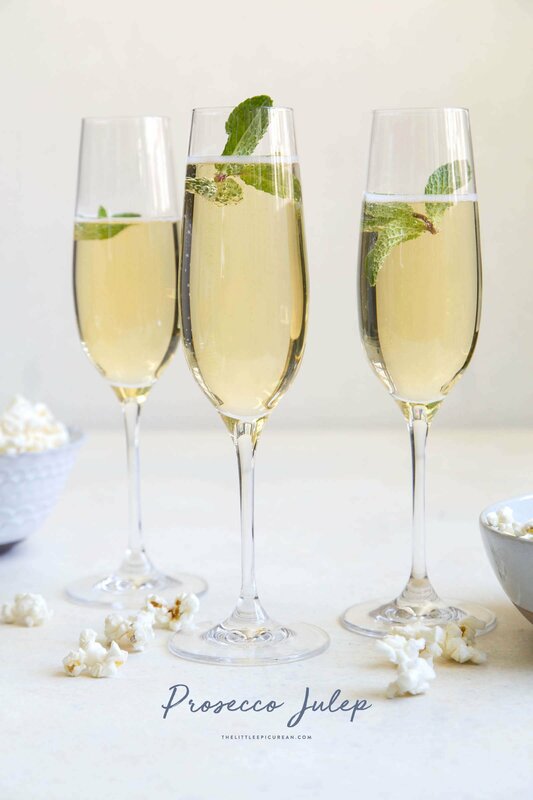 Whether you simply want to put your feet up and lounge by the fireplace, or get all dressed up and throw a festive ball with friends, you’ll want a glass of this Prosecco julep in hand. Like a traditional mint julep, this cocktail combines mint, sugar, and bourbon. For the finishing touch, it’s topped with chilled Riondo Prosecco. Riondo Prosecco is an authentic Italian sparkling wine. It is widely accessible throughout the United States. 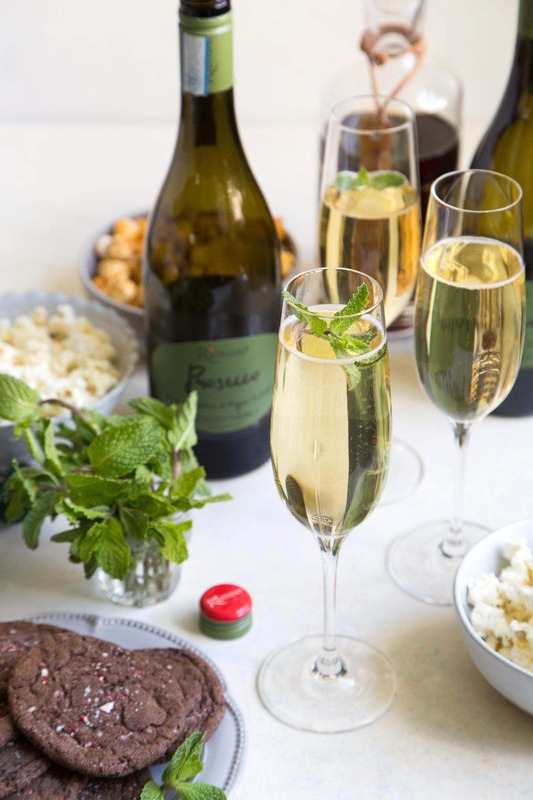 Riondo Prosecco can be enjoyed chilled on it’s own, or mixed with a variety of juices and spirits. It pairs well with mint and bourbon as shown in this cocktail. How about trying an Italian version of French 75? Or putting an Italian twist on a margarita? Be sure to visit Riondo for more cocktail recipes and ideas. 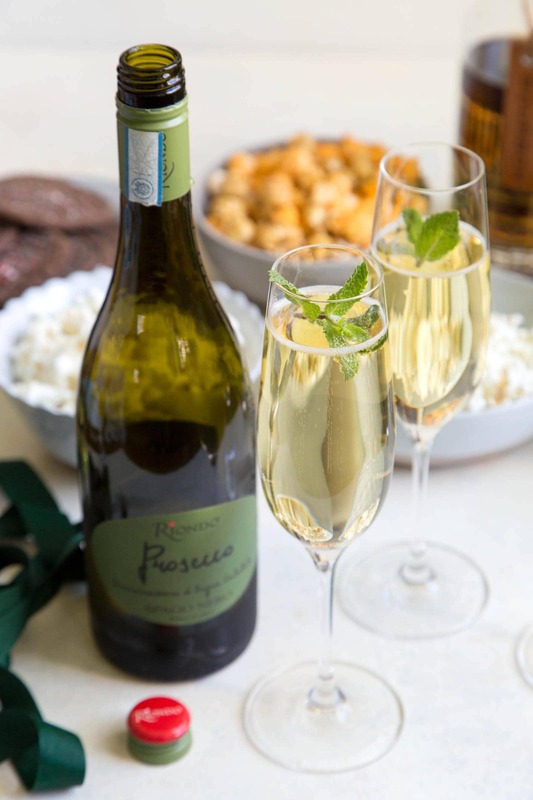 Like Champagne, the name Prosecco refers to a specific region and grape. 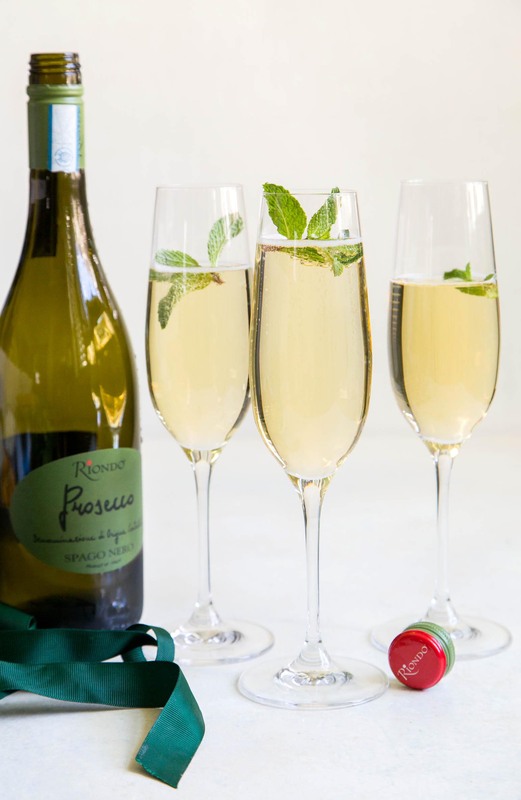 Prosecco has definitely gained in popularity over the years due to it’s approachable style. It’s light and fruity with a hint of sweetness. 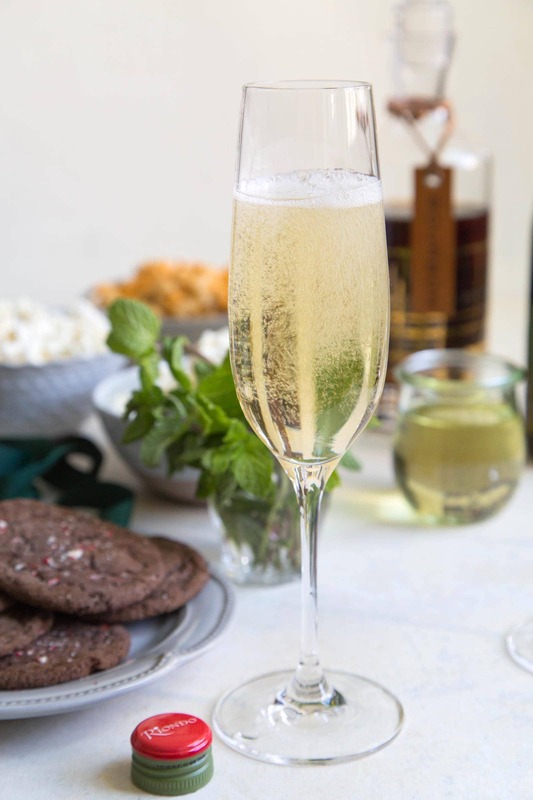 While you’re trimming the tree, baking some cookies, or perhaps enjoying movie night with the family, this Prosecco julep would be a fantastic beverage to serve! Cheers! 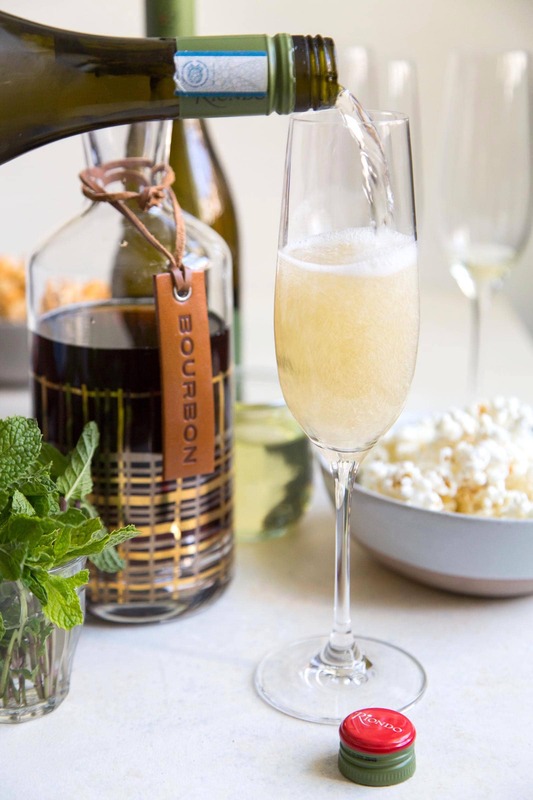 This sparkling take on the classic mint julep combines mint syrup, bourbon, and Prosecco for an easy to drink beverage that's suitable for any occasion including every day enjoyment! In a flute glass, pour in mint syrup and bourbon. Top with Riondo Prosecco. Serve immediately. If desired, garnish with fresh mint. Place rinsed and cleaned mint leaves in a small sauce pot. Add in sugar and water. Bring mixture to a boil until sugar has dissolved. Remove from heat and allow mint to steep for 30 minutes. Strain syrup and keep chilled until ready to use. Keeps in the fridge for 2 weeks. Yum! I don’t think I’ve ever had prosecco with a wee bit of bourbon. It looks like the perfect cocktail for the holidays!